In a world where competition is getting tougher, where customers have a plethora of options, you need to implement the right tools and offer relevant content in order to gain an edge of the competition. Gone are the days when marketers could simply come up with a brilliant idea, devise an eye-catching ad and then wait for the customers to pour in. It just doesn’t work that way anymore. You have to actively engage your audience with relevant and personalized content, you have to grab and hold their attention. It isn’t enough to attract their attention; anyone can do that. Question is: can you keep them interested in your product? While virtually all companies want to turn existing customer into loyal ones, few of them actually achieve this goal. Why is that? Maybe they are focused on short-term gains, maybe they aren’t using the right tools to reach to their target audience, maybe their approach is just plain wrong. Or maybe they don’t know their audience to begin with. Knowing your audience is key. It doesn’t matter how remarkable your idea or your product is; what matters is how you tell the story behind what you’re doing. We’re all in the business of storytelling, regardless of the final product. Can you engage your audience with meaningful content? Can you appeal to their innermost emotions and desires? In what ways your product will make their lives better? All these questions beg answers. How you respond to them tells a lot about your company’s core values. Nowadays, if a company doesn’t keep up with the ever-changing business landscape, it may lag behind. The deadly sin in the digital era we’re living is not being being there when your customer needs you, not responding to your target audience in real time. Today, you can find all kinds of tools to not only market your product at a large scale, but also respond to customers in real time, gather insight about the performance of marketing campaigns and also predict future trends in consumer’s behavior. There’s no excuse not to be where the customers are. After all, you can’t get to know your audience if you’re not actively engaging with them. Customer engagement is what sets apart successful companies from those who lag behind. It’s all about identifying customer needs and responding to them in real time. The faster you react to changes in consumer behavior, the more prepared you are to offer relevant content to them. In a world where information moves at the speed of light, real-time engagement may be the key to success in a highly competitive market. How and when you respond to your target audience means a lot. If you want to gain a a competitive edge, you need to find the right tools and implement the right approach to respond to changes in real time. Gone are the days when companies could gain new clients simply because they placed an ad in their local paper, or they aired a commercial in the TVs over and over again. Customers today want to be heard, they want to be taken care. Above all, they demand quick responses. If your company doesn’t respond to them quick enough, customers can and will find their answers elsewhere. Think about it this way: you want to buy a new bike. You go to a company’s website, you see the bike and its specifications, and you also see the price. You want to know more, so you head to its social media channels. You see what people are saying about the brand, but you still want to know more. So you send a message from their social media channel, say Facebook. You wait, no response. You wait longer, still no response. What do you do? Do you call them? Do you send them an email? If you’re like most people, you simply ignore them and look elsewhere to buy your bike. Responding to customer behavior in real time is as important as devising brilliant marketing campaigns. In fact, it should be an integral part of every marketing campaign. The faster you react to changes in consumer behavior, the better decisions you can make and the more your audience will want to engage with your brand. One of the best tools for responding to customer behavior in real time is Customer Relationship Management (CRM) system. Used the right way, it can yield huge benefits. How can a CRM help you respond to behavior in real time? 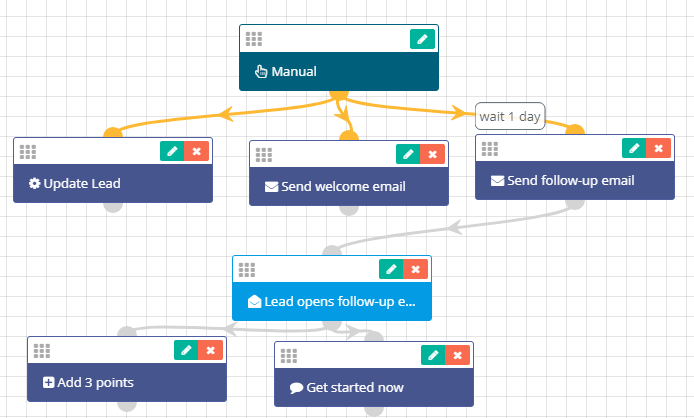 In Flexie CRM, you can build a workflow which will help you send automatic emails to leads based on certain events. 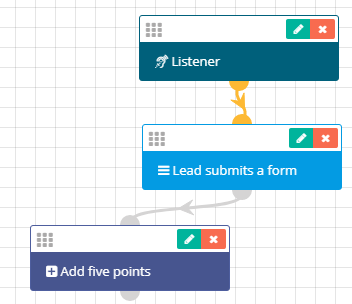 For example, if a lead submits a form, you can build a workflow which will automatically add points to it. 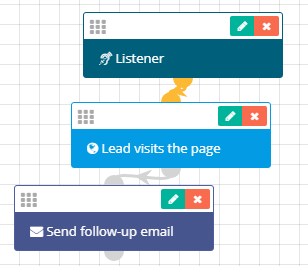 Or, if a lead visits a page, you can send an automatic follow-up email. These are only two examples among many. Responding to behavior in real time will help you actively engage with your audience, offer relevant content and build a loyal customer base, a tribe if you will.